Christ Our Shepherd Lutheran Church in Peachtree City welcomes Bishop H. Julian Gordy to its four worship services, April 29-30. 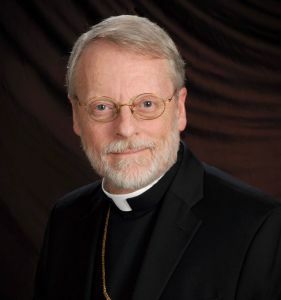 The Southeastern Synod of the Evangelical Lutheran Church in America, which Bishop Gordy serves, consists of Georgia, Alabama, Mississippi, and Tennessee. His visit is part of Christ Our Shepherd’s year-long commemoration of the 500th anniversary of the Reformation, which was sparked by Martin Luther’s nailing his “95 Theses” to the Castle Church door in Wittenberg, Germany, on Oct. 31, 1517. Besides preaching at the four weekend services, Gordy will host a question-and-answer hour at 9:45 a.m. Sunday. He is also the featured speaker at the annual Holocaust Remembrance Service sponsored by Christ Our Shepherd and Congregation B’Nai Israel that afternoon. Serving as bishop since 2007, Dr. Gordy also serves at a unique home for homeless persons in Morristown, Tenn., and with Samaritan Ministry of Jackson County, an ecumenical emergency relief agency on the Mississippi Gulf Coast. He is an active member of the Immigration Ready Bench for the Conference of Bishops and the Advisory Board of the Journal of Lutheran Ethics.